The G7 Pro is unusual in that it’s a rim brake version of an existing disc brake bike. Things usually happen the other way around. The disc version of the BH G7 was first shown almost two years ago and there was no mention of a rim brake equivalent at the time. Since then we’ve had the introduction, suspension and subsequent re-introduction of the trial of disc brakes in the pro peloton with various accusations of danger in a road race situation made against the technology. With the long-term position of disc brake bikes still uncertain, having a race bike available exclusively in a disc brake format doesn’t make a whole lot of sense, hence the BH G7 Pro. 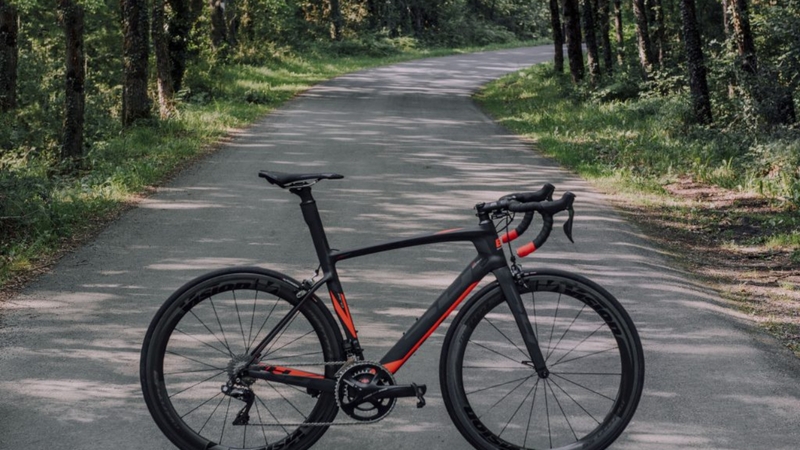 Putting the brakes and thru axles to one side, the G7 Pro looks pretty much identical to the G7 Disc with a deep section down tube and a seat tube that’s cutaway around the rear wheel. 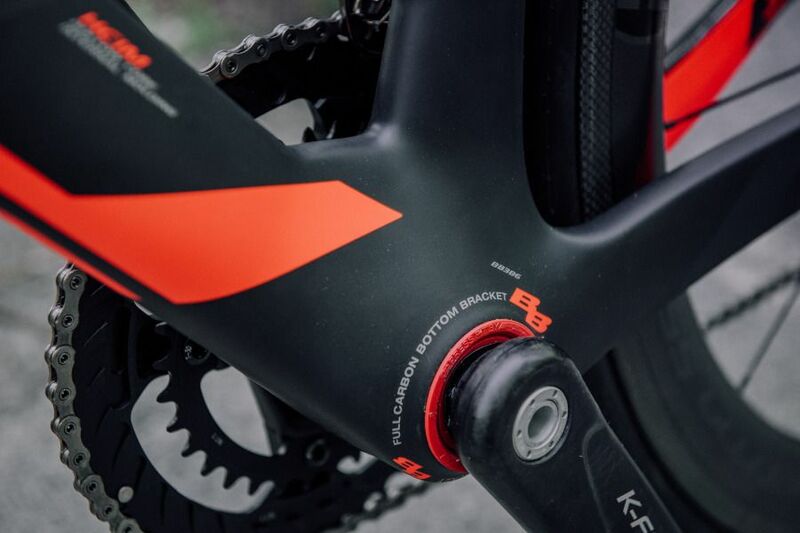 That seat tube is extended with an aero profiled seat tube to accommodate up to 30mm tyres. 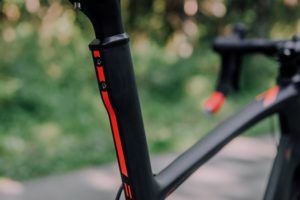 The seatstays join the seat tube very low to reduce drag, something that we see on the vast majority of aero road bikes out there. 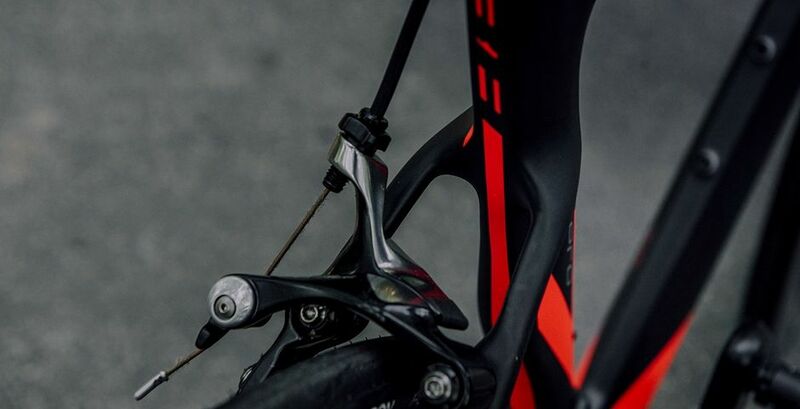 The G7 Pro uses direct mount brakes front and rear. Without the need to accommodate a central mount bolt, the fork crown can be made lower for improved aerodynamic efficiency. 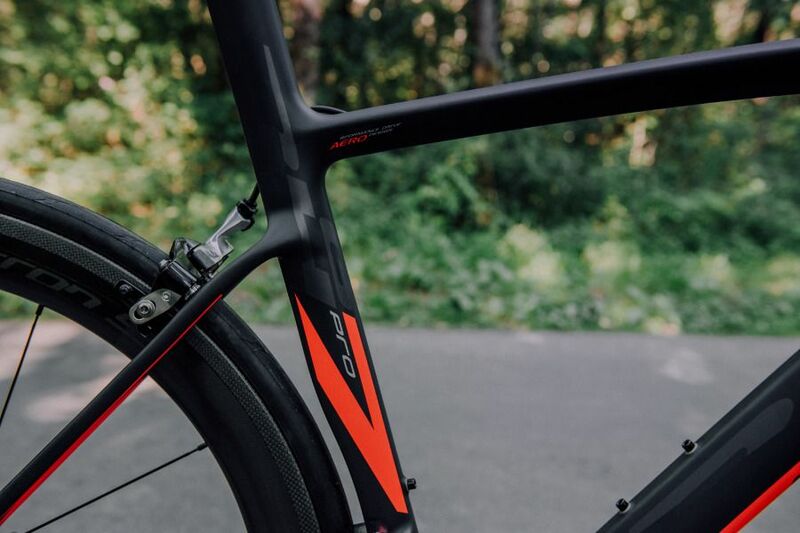 As ever with all aero road bikes, the fork blades are deep to reduce drag. BH have something special here in the BH G7 Pro.